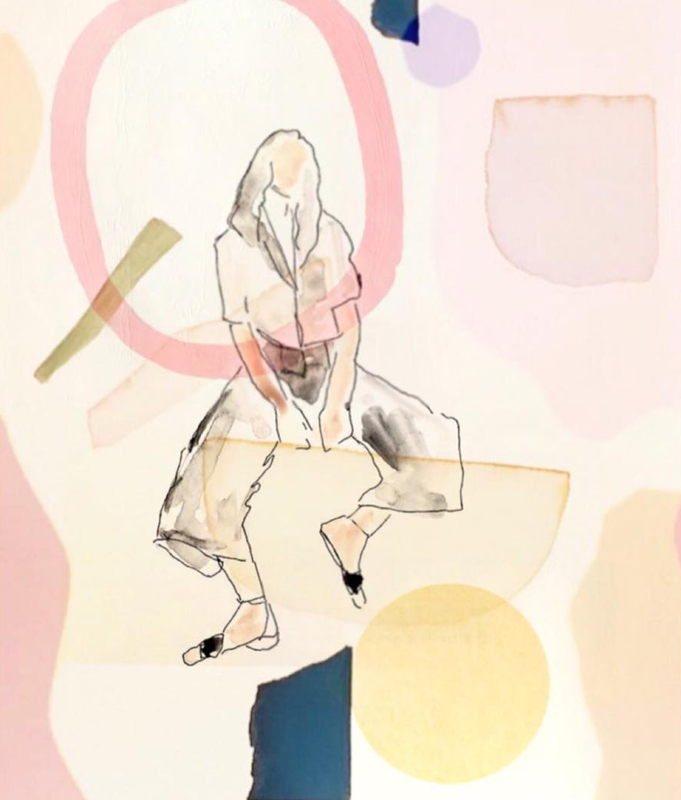 Fawn Press-Dawson is a twenty-five-year-old artist painting with two essentials: water color and soul. The Sacramento-based creative shares her works-on-paper on Instagram, revealing art that is, at first, simple to the eye. But, take a closer look, and one can find a common thread of faceless beings with profound short captions. After glancing at a handful of her works, it becomes clear that Press-Dawson feels something. 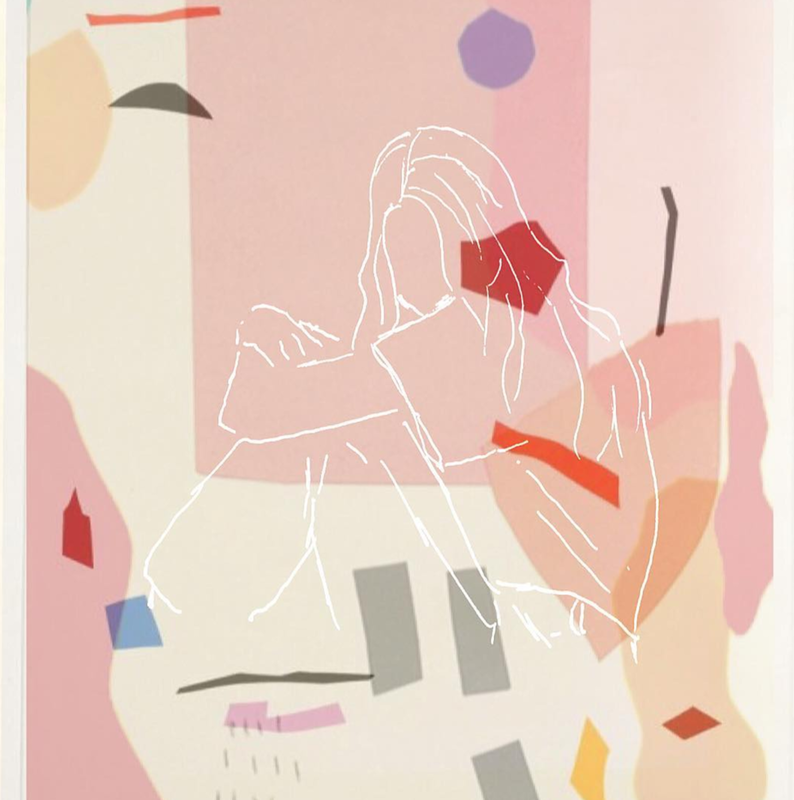 Several of her pieces depict musicians, such as Maggie Rogers and Solange, and the sentiments their works translate (such as "Back In My Body" and "Don't Touch My Hair," respectively). It seems Fawn's art is a personal outlet, a window into her experiences and reflections, but it's impossible to be sure. On her website, the artist shares, "As I was slogging through the mess I had made of my life, I came to realize that there is no 'should be.' There is only what is. I’ve found that emotional torment and suffering comes from our attachment to our thoughts about what happens, not what actually happens." Read ahead for more on Press-Dawson's psychological findings, creative discoveries, and her most current focus. MO: When did you start making things, and what were you making? FPD: I started to draw and paint in 2016 while I was living in South Korea and in the thick of my depression and anxiety. For my birthday that year, my ex boyfriend’s mom gifted me a beautiful set of watercolors and I immediately started drawing and painting faceless women. I had all of this pent up creative energy and I couldn’t drop the paint brush for a solid year. MO: Why do you create? FPD: Creating is a form of release for me and it translates how I’m feeling at my core. I don’t feel awake or as whole if I don’t create on a regular basis. MO: What do you do full-time right now? FPD: I am currently prepping for a bread-baking apprenticeship on the East Coast. Some could say that I’m currently working full-time on bettering myself while reading and rereading up on sourdough. MO: You recently created a piece, "Back In My Body," resembling Maggie Rogers. What does "back in my body" mean to you? FPD: For me “Back In My Body” means coming into my own, accepting the now while acknowledging and appreciating all parts of the past. MO: What do you hope to bring people or accomplish through your art? FPD: I hope to create art that helps viewers bring their attention to the present moment. MO: Often, for creative individuals, it takes time to find a life-balance that leaves room for as much creation as possible. Do you struggle with this at all, and how do you find that balance? FPD: I absolutely struggle to find a life-balance that leaves time for as much creation as possible. But creating keeps me centered, similar to meditation and self-love. The more I practice and create, the better I feel. The better I feel, the more I can be there for myself and for others. MO: Who do you look up to most, whether art-related or not, and why? FPD: I look up to my mom and dad. I’m in awe by their strength and endless supply of love. I admire so many people, especially those who have struggled and who have let go of their attachments in order to move forward. MO: What are you focusing most on right now? FPD: You’ve caught me in a transition period where the focus is mainly internal. Art is part of this solitude and internal working period. MO: Do you have any advice you’d like to share, or insight, for those dealing with an internal struggle similar to what you’ve experienced? FPD: That you're not alone, and struggling is the greatest opportunity for growth. Take however long you need to do the necessary internal work. Keep in mind that every person’s path is important, valid and malleable. There is fluidity and room to make adjustments and detours along the way. Lastly, everything will be more than okay.